Modifying its October 23 order fixing a slot of 8 pm to 10 pm for bursting firecrackers on Diwali, the SC today said that that respective state governments will be at liberty to fix the time slots for bursting crackers, subject to the condition that timings should not exceed two hours a day. A bench comprising Justices A K Sikri and Ashok Bhushan agreed to modify its earlier order on an application by Tamil Nadu and Puducherry seeking permission to burst crackers between 4.30 AM and 6.30 AM on Diwali as per local traditions. The bench also clarified its October 23 order stating that the direction for use of green crackers was meant for the Delhi-NCR region and was not pan India. This was after fire cracker manufacturers approached the Court expressing difficulty to manufacture 'green crackers' before Diwali this year. On October 23, the Court passed a slew of directions in petitions filed by children seeking complete ban of crackers in Delhi-NCR region on ground of adverse health effects. The Supreme Court ruled against imposing complete ban on firecrackers but said that only less polluting green crackers can be sold, that too only through licensed traders. The Court has banned online sale of firecrackers, restraining e-commerce websites from carrying out its sale. (i) The crackers with reduced emission (improved crackers) and green crackers, as mentioned in Suggestion Nos. II and III above only would be permitted to be manufactured and sold. (ii) As a consequence, production and sale of crackers other than those mentioned in Suggestion Nos. II and III is hereby banned. (iii) The manufacture, sale and use of joined firecrackers (series crackers or laris) is hereby banned as the same causes huge air, noise and solid waste problems. (iv) The sale shall only be through licensed traders and it shall be ensured that these licensed traders are selling those firecrackers which are permitted by this order. (v) No e-commerce websites, including Flipkart, Amazon etc., shall accept any online orders and effect online sales. Any such e-commerce companies found selling crackers online will be hauled up for contempt of court and the Court may also pass, in that eventuality, orders of monetary penalties as well. (vi) Barium salts in the fireworks is also hereby banned. 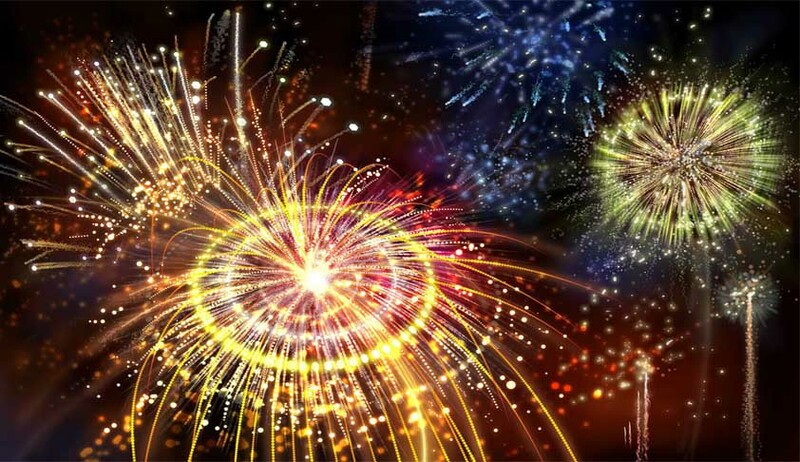 (vii) PESO is directed to review the clinical composition of fireworks, particularly reducing Aluminum content, and shall submit its report in respect thereof within a period of two weeks from today. For undertaking this exercise, PESO would also associate FRDC. (viii) Even those crackers which have already been produced and they do not fulfill the conditions mentioned in Suggestion Nos. II and III above will not be allowed to be sold in Delhi and NCR. (ix) PESO will ensure fireworks with permitted chemicals only to be purchased/possessed/sold/used during Diwali and all other religious festivals, of any religion whatsoever, and other occasions like marriages, etc. It shall test and check for the presence of banned chemicals like Lithium/Arsenic/ Antimony/Lead/Mercury. (x) PESO will ensure suspension of the licenses of manufacturers of such fireworks items and appropriate disposal of such stock. (xi) PESO will ensure that only those crackers whose decibel (sound) level are within the limits are allowed in the market and will ensure to take action by suspending the licenses of the manufacturers on such violations and disposal of such lots. To add to it, as mentioned in the order dated September 12, 2017, the directions issued and restrictions imposed in the order passed by this Court on July 18, 2005 in Noise Pollution (V) shall continue to be in force. (xii) Direction Nos. 4 to 9 and 11 contained in the order dated September 12, 2017 shall continue to operate and are reiterated again. (xiii) Extensive public awareness campaigns shall be taken up by the Central Government/State Governments/Schools/ IAs in Writ Petition (Civil) No. 728 of 2015 & Ors. Page 50 of 54 Colleges informing the public about the harmful effects of firecrackers. (xiv) (On Diwali days or on any other festivals like Gurpurab etc., when such fireworks generally take place, it would strictly be from 8:00 p.m. till 10:00 p.m. only. On Christmas even and New Year eve, when such fireworks start around midnight, i.e. 12:00 a.m., it would be from 11:55 p.m. till 12:30 a.m. only. (xv) The Union of India, Government of NCT of Delhi and the State Governments of the NCR would permit community firecracking only (for Diwali and other festivals etc. as mentioned above), wherever it can be done. For this purpose, particular area/fields would be pre-identified and predesignated by the concerned authorities. This exercise shall be completed within a period of one week from today so that the public at large is informed about the designated places one week before Diwali. The areas designated now for the purpose of Diwali shall be valid for community fire cracking on other occasions/festivals as well, as mentioned above. Even for marriages and other occasions, sale of improved crackers and green crackers is only permitted Insofar as other States are concerned, an endeavour shall be made by them also to explore the feasibility of community fire-cracking. However, it is made clear that Direction No. (xvi) pertaining to the duration within which fireworks can take place on all such occasions would be applicable throughout India. Similarly, Direction No. (xiii) for extensive public awareness campaigns is also a pan India direction. (xvi) All the official respondents, and particularly the Police, shall ensure that fireworks take place only during the designated time and at designated places, as mentioned above. They shall also ensure that there is no sale of banned firecrackers. In case any violation is found, the Station House Officer (SHO) of the concerned Police Station of the area shall be held personally liable for such violation and this would amount to committing contempt of the Court, for which such SHO(s) would be proceeded against. (xvii) CPCB and respective State Pollution Control Boards/ Pollution Control Committees (SPCBs/PCCs) of the States and Union Territories shall carry out short-term monitoring in their cities for 14 days (commencing from 7 days prior to Diwali and ending 7 days after Diwali) for the parameters namely, Aluminum, Barium, Iron apart from the regulatory parameters against the short-term Ambient Air Quality Criteria Values (AAQCVs) proposed by CPCB with regard to bursting of firecrackers. This will help in generation of data on pollution caused by the bursting of firecrackers and would be helpful for regulation and control quantity of Aluminum, Barium and Iron used in the manufacture of firecrackers.